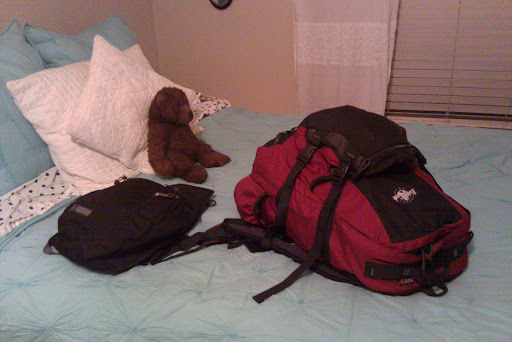 I am leaving tomorrow morning for my month long trip to Europe and I would really appreciate your prayers! Do you think it will all fit? Scroll down to find out! discernment to know what to see, what to skip, when to rest, etc. great places to stay- it’s always a little weird to book places just via the internet w/o actually seeing them, and there are also a couple of cities where we don’t have anything booked yet in order to give us some flexibility in our itinerary. We’re praying for safe, clean, and not ridiculously priced. I am praying for rest and time for reflection- I know that those may sound like crazy things to seek on a busy trip, but I’m hopeful that being away from my normal routine and spending lots of time on the train and in beautiful places will be just what I need. I am coming off of a difficult year emotionally, and I am hopeful that the Lord is going to use this Europe trip as another part of the process that I’m working through. good conversations with people that we meet. Debbie and I love to talk, so hopefully we can meet some interesting people and look for opportunities to share the love of Christ, even in unexpected ways. Thank you for praying for us! I’ll be sure to post up-dates when I can. Pretty proud of myself. So’s Mr. Bear. He saw all that stuff around him and he was getting quite nervous. I don’t know what a bippy is but Mary and I will be praying. Hope you have a fun and mentally/emotionally relaxing time. 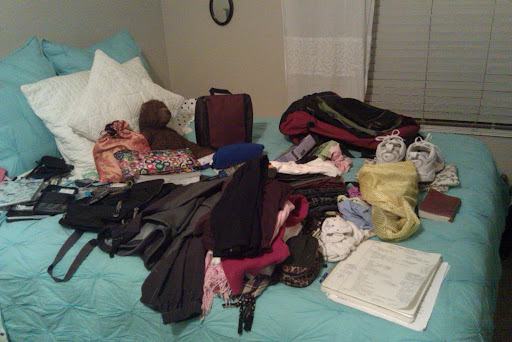 good packing, Laura, and great itinerary! I know you’ll have a great time. We have been scouting out dairy-free things here in England and are at least finding lots of very adequate labeling. Hope you are able to eat happily through all of the countries and languages! Have a great trip! p.s. This is actually SusanSusanSusan, not FredFredFred! hope you have a wonderful and enriching trip!